Having water in some of the cups may slow the warming time of the pan. Since metallic pans are excellent conductors of heat, the entire thing should stay below (or at least not significantly above) 212F until all the water has evaporated. Perhaps the heating delay has some effect on crown height. So, how did it taste? 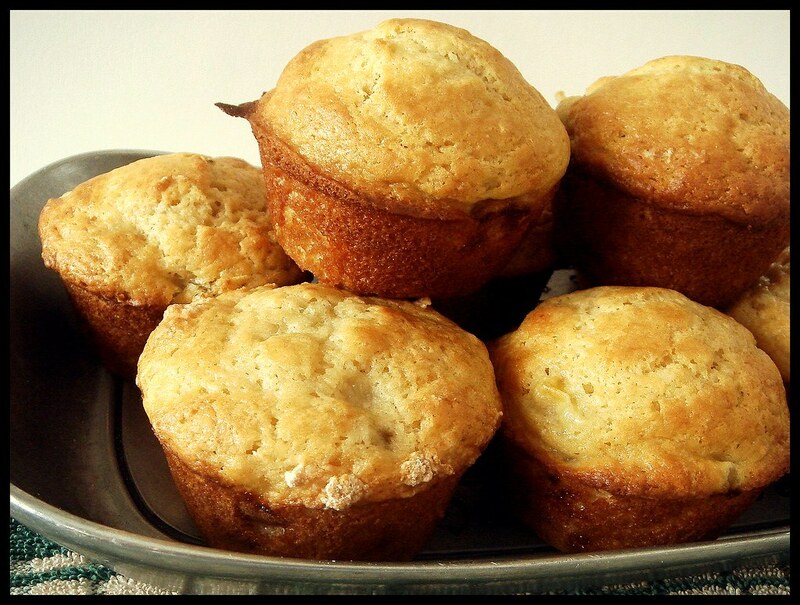 Was it the first time you made banana muffins? 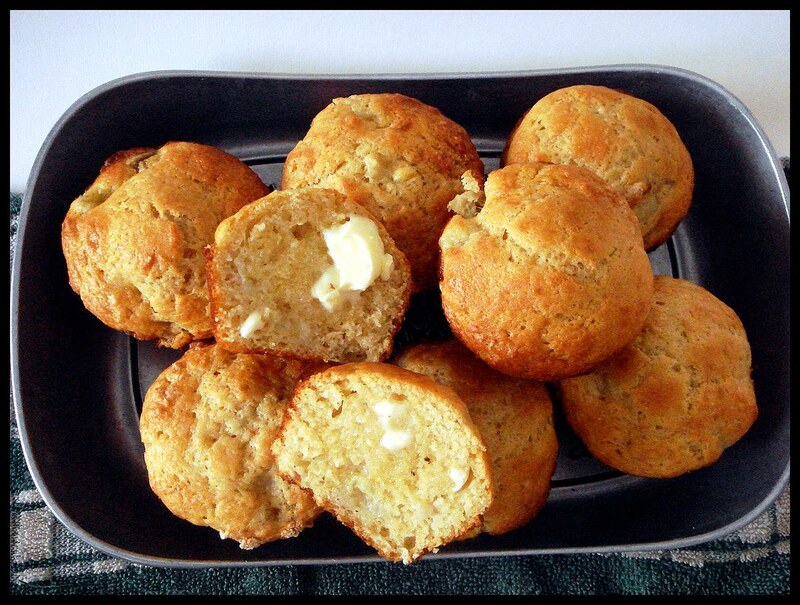 Have you ever had banana muffins before, and if so, how did your recipe compare to what you had before? Also, I didn't see any vanilla in your recipe. 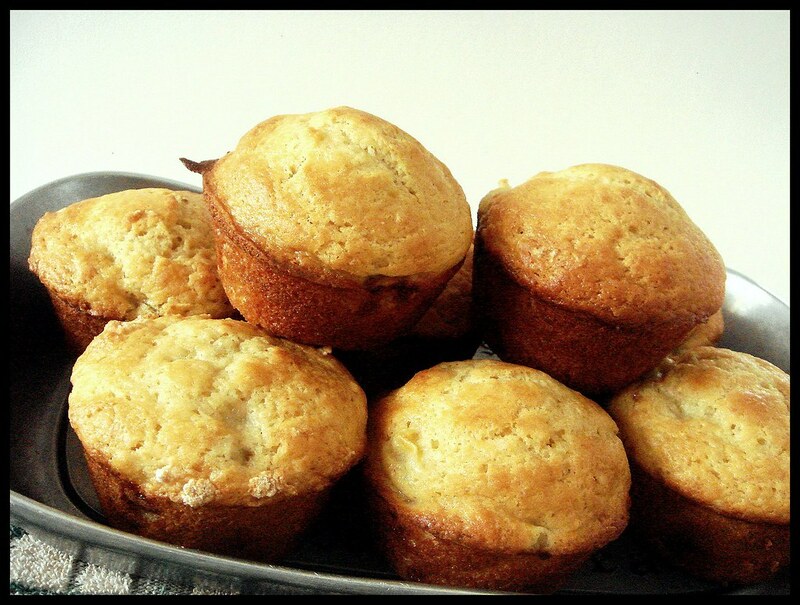 Is vanilla ever used in muffins? I found that vanilla can accentuate 'sweetness' in a recipe. Greg ~ Thanks! I can see how the delayed heat might somehow make the crowns rise before the insides have a chance to set? Or something like that. 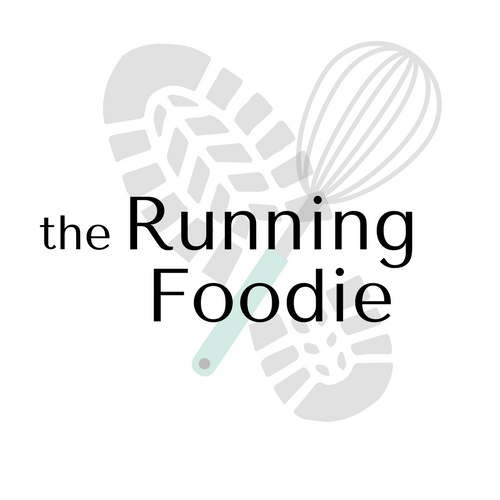 Jogger ~ These had to be the worst muffins I've ever made in my life. Furthermore, both banana bread recipes I've blogged about previously were probably better, but I can't remember since it's been a while. Thirdly, these were quicker. The taste wasn't too sweet, yet the banana flavor was accented enough to stand out. I also noticed a lack of vanilla, but didn't feel I was missing anything in the finished muffin. If I make these again, I'll add some just for the sake of testing it out. In chocolate chip cookies I've begun adding about 2-3 teaspoons vanilla extract and letting the dough rest overnight. It melds and creates a depth of flavors with the caramel notes. If they were that tasty, you would have said "They were delicious!!!!!!!!!!" I love CI recipes too! I really enjoy reading your posts and thoughts. I find it weird that CI would tell us to fold in the melted butter, wouldn't that make us overmix more easily?